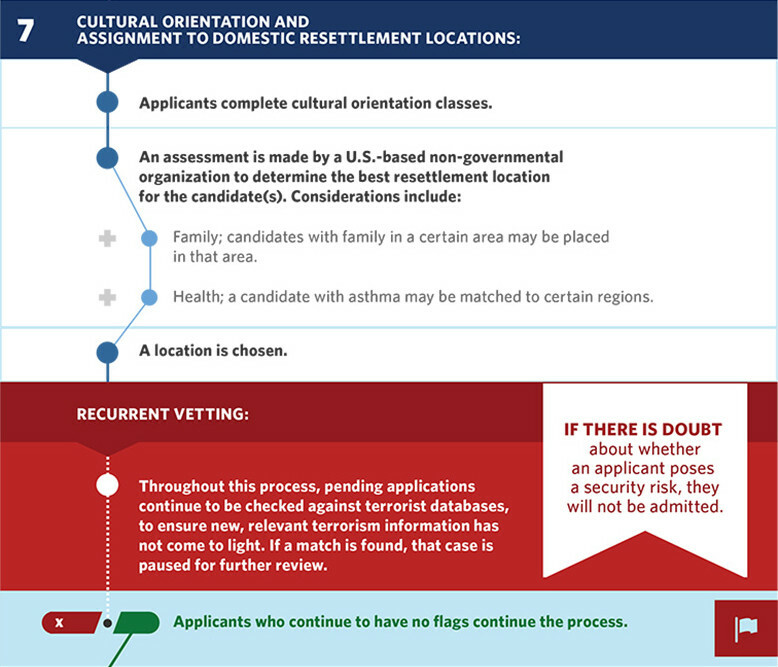 A step-by-step guide to the rigorous process for refugee entry into the U.S. 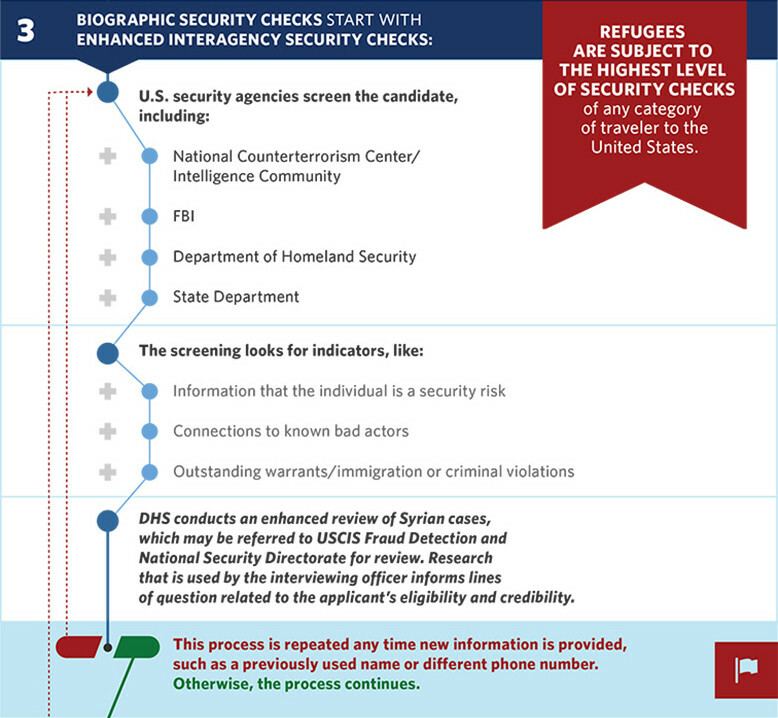 The following images come from this post on whitehouse.gov, where you can also read the full text of the workflow. 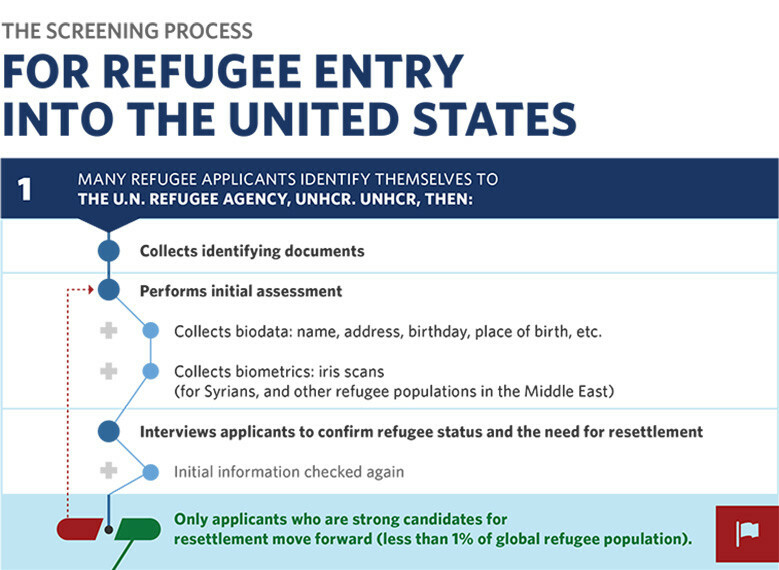 Click on each image to view it alone or view the whole workflow as one image on whitehouse.gov. 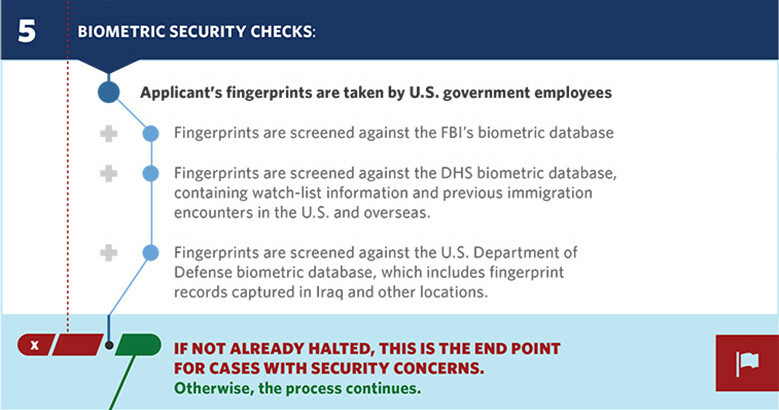 Read the full post here on whitehouse.gov.